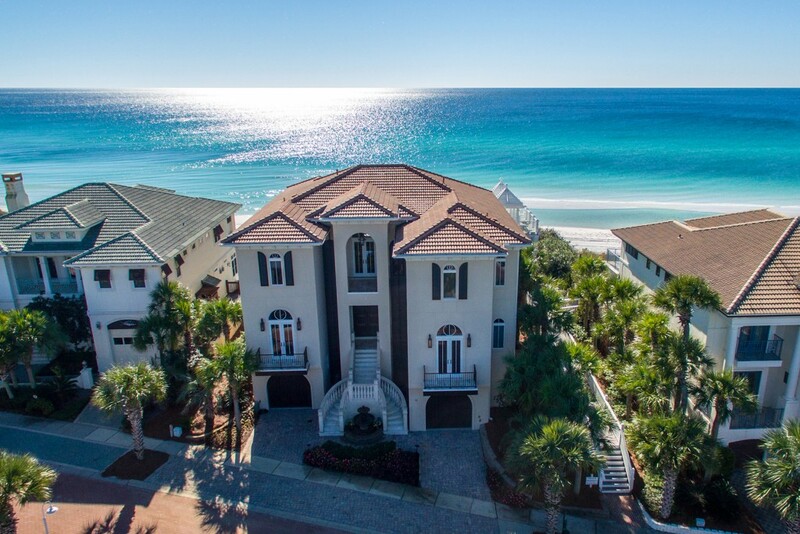 Of the five gulf front homes that have traded hands this year on the west end of Scenic Highway 30A, 32 White Cliffs Crest in Blue Mountain Beach’s Village of White Cliffs has garnered the highest sale price yet at $5,437,500. Represented by Kim and Keen Polakoff with Scenic Sotheby’s International Realty, it closed on May 20 after 111 days on market, significantly below the average 351 days on market. This is the second time 32 White Cliffs Crest has traded hands. 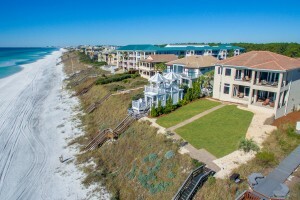 Its sales represent two of the three total gulf front home sales to have ever taken place within The Village of White Cliffs. Its sale holds the current record for the community. The Village of White Cliffs is a charming community in Blue Mountain Beach that offers an enviable amount of privacy for discerning homeowners. Custom-built luxury homes sit on generous lots and provide a variety of architectural styles to suit individual tastes. Low association fees and no build-out time make home lots particularly appealing, and the stability of this upscale community is assured with a minimum six-month rental period. Paved roads and sidewalks add a sense of character as they wind through mature greenery to some of Florida’s best white sandy beaches via deeded access. Modern landscaping complements the existing mature pine trees. The nearby bike path runs along the coast for 25 miles, providing a pleasant, eco-friendly way to visit local shops and restaurants from your vacation retreat or year round home. Country club amenities enhance a social outdoor lifestyle with a heated pool, furnished sun deck, fitness center, club house and tennis courts.